Sign up for Broadjam today to follow Claire Dodin, and be notified when they upload new stuff or update their news! 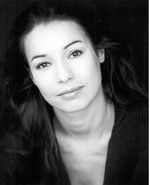 Claire is a jazz/musical theatre singer who also sings on film soundtracks. That's where you SHOULD be with your talent!